The brother of a man killed in an apparent dooring incident in the Bronx, a crash that NYPD failed to investigate for over a month, says police have stopped working the case due to a lack of evidence, DNAinfo reports. 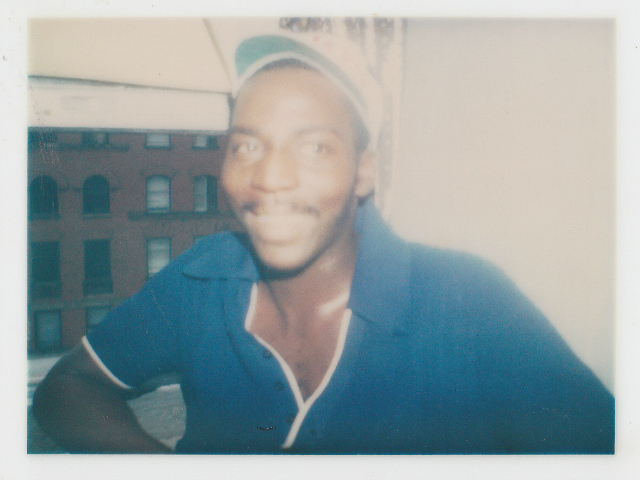 Joseph Nelson, 54, was riding his bike near the intersection of Fordham Road and Jerome Avenue on the afternoon of April 14, 2012, when according to an autopsy report he collided with the open door of a parked car. Paramedics found Nelson unconscious in the street. Nelson died shortly after the crash, but the 52nd Precinct did not inform the NYPD Accident Investigation Squad until May 18. As in other instances where AIS failed to begin its work immediately after a crash that resulted in the death of a cyclist or pedestrian, police said they had no evidence to pursue the case. In October an investigator told John Nelson the file would be closed. In a follow-up DNAinfo story published today, Nelson, who planned to travel from Virginia for the installation of his brother’s Ghost Bike memorial, said he has not spoken with investigators since. Streetsblog has asked NYPD for confirmation that police stopped investigating the crash. “My brother wasn’t trash. He wasn’t a throwaway or disposable,” Nelson said, fairly encapsulating the NYPD approach to cyclist and pedestrian injuries and deaths. For years, it was NYPD policy to investigate a traffic crash only when a victim was dead or believed likely to die. When a doctor told officers that cyclist Stefanos Tsigrimanis wasn’t in mortal danger after he was hit by a driver in Brooklyn, AIS did not return to the scene for 46 days. Because NYPD did not know that Brooklyn pedestrian Clara Heyworth had died after she was struck by an unlicensed driver who was believed to be drunk, AIS was not dispatched for at least three days. Prosecutors dropped all charges related to Heyworth’s death, and her husband has filed a lawsuit against NYPD for failing to properly investigate the crash. Police initially blamed Brooklyn cyclist Mathieu Lefevre for his own death, with prosecutors from the office of District Attorney Charles Hynes taking up the case after Lefevre’s family got the attention of the media. In March NYPD Commissioner Ray Kelly announced that the department would abandon the “dead or likely to die” protocol, and assign more officers to investigate crashes. Nevertheless, NYPD continues to declare “no criminality suspected” almost immediately after collisions that cause injury and death. Somehow, ‘colliding with the open door of a parked car’ doesn’t convey what actually goes on when a cyclist is doored. In one’s mind, it paints a picture of a rider who isn’t paying attention and runs right into a car door. The reality is that in a classic dooring incident, you have NO TIME to do anything at all. This guy was an ex-messenger and was probably a highly skilled cyclist. I think I made this same comment on the original story a year ago, but it how could this man lay dying on the ground, in broad daylight, in one of the most densely populated places in the entire US, without folks immediately rushing over to help him? Such a terribly sad story, and in all honesty, because it’s in a low-income area of the Bronx, I know it’ll get less attention here on Streetsblog, DNAInfo, and everywhere else than it would had it taken place elsewhere in the city. Will the “Rule of Two” Trigger Hynes Probe Into the Death of Felix Coss?